In her late twenties, Christine suffered an accident that caused amnesia of a sort that wipes away her daily life. Over two decades later Christine awakens not knowing where she is. Each morning she has to be reminded of her home, her husband, Ben, her past, her present. While working with her doctor, Christine discovers that she has started a journal about her daily discoveries. What she cannot remember is why the first page has the words "Don't Trust Ben"? How can Christine discover the truth if she cannot remember it the next day? Christine wakes up in a strange bed, with a strange man, every day. What is worse, she has to face a woman she has no memory of: herself, in the mirror. A traumatic head injury has caused Christine to forget her daily life and most of her past twenty-five years. Each day is faced with pictures of the past and present, with her husband Ben explaining what is going on, with the knowledge that it will all be gone in the morning and she will have to begin again. When a phone call from her doctor brings her journal back into her hands, Christine begins a journey towards discovering what she has forgotten may not be as important as what she is not told to remember. Watson does a terrific job of telling the tale from Christine's perspective. As much of the book is relayed through her journal entries, we start over again with the same forgotten - or in some cases, remembered - information that is touched upon again and again. The reader does not become an observer, but participates in each day's revelations, whether new or repeated. The suspense builds not only from knowing what has already happened, but not knowing what the next morning will bring. Having a life on a continual loop would try any person's sanity and I suffered along with Christine as she tried to put together a puzzle that was missing so many pieces. While some may be able to pull the clues together before the end, there are enough twists to keep all the answers from being revealed until the last moments. S.J. 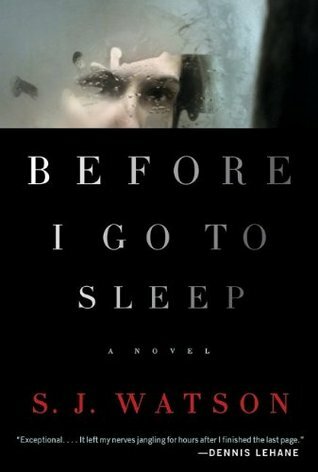 Watson's suspenseful debut will keep readers enthralled.